In this guest post, Nadine of Enida, a virtual customer service platform, shares tips for setting up a follow up sequence that gains reviews. After Amazon.com, Inc. ("Amazon") recently updated its Terms of Service (TOS), customer service has never been more important for building a customer relationship. Now the only way to gain reviews is through stellar customer service and a highly optimized follow-up sequence. In order to increase and improve seller feedback, consider personalizing your follow-up sequence. In this blog post, I want to share the kinds of follow-up sequences you can use and the reason why you should link to seller feedback rather than to the product listing when initially requesting a review. First off, I want to introduce you to three questions we find are effective from a customer service standpoint for Enida depending on the customers we are targeting. In the first sequence, simply ask, "How is your new product? Do you have any suggestions or improvements?" This shows the customer that you care about the quality of your product and that you are interested in honest feedback. In the second sequence, ask the buyer how the product is working for them. This gives them a second opportunity to leave feedback, and shows that you are interested in how the product is working for your customer. The third follow up is the same as the second, but with this addition: "Thank you for the purchase!" FeedbackFive allows you to send up to 5 emails per order, but at Enida, we find that these three are the most effective. When you write your subject lines and calls to action for each email, make sure to do A/B testing to determine which follow up sequence is working best for your audience. eComEngine's FeedbackFive tool allows you to automate these emails so that you can space them out during the followup process. You can set the timing, and also apply rules so that second and third emails aren't sent to recipients who left feedback after the first email. Now let's analyze these three sequences to see the different ways you can reach out to customers to not only get them to leave feedback, but a product review as well. Include a link in your email that will take the recipient right to the place where they can leave feedback. If they do, set a rule in FeedbackFive so that they don't receive a second or third email. Most people send this email within a week or so of delivery. In it, you're sending a second feedback request to customers who did not leave feedback after the first email. Some feedbacks can be managed by a virtual assistant (VA) like the team at Enida. One of our virtual assistants can help you monitor your FeedbackFive account and manage negative feedback removal. We'll send personal responses on your behalf, allowing you to partially automate customer service for your business. The first and second emails ask the customer to leave seller feedback. 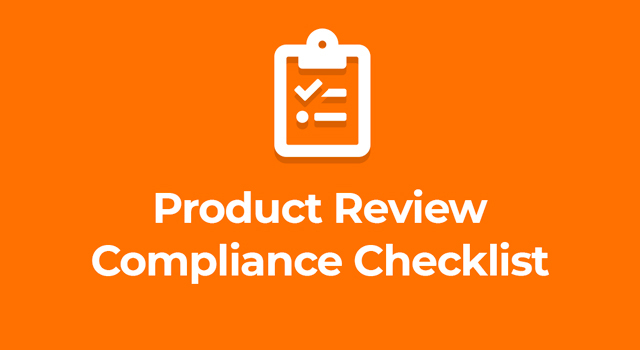 This third email will include a call to action to request a product review. In FeedbackFive, you can set a rule to only send this email to recipients who have already left feedback, and you can choose to send this email only to people who left a certain amount of stars. Obviously, if someone leaves bad feedback, you don't want to ask them for a product review. Product reviews are all about the items you sell, rather than your customer service or another factor measured by seller feedback. Unless you're a private label seller, product reviews don't really impact your Buy Box share. But, monitoring product reviews is important for sellers so that they can make smart inventory decisions. If the product reviews are consistently bad, it could be an issue with your supplier or the quality of the product. FeedbackFive allows you to monitor product reviews, and the team at Enida can help you make decisions about which products to ditch and which ones to keep. The goal of all follow-up sequences is to eventually link the customer to the feedback or product review locations to ask them to share their opinion about your service (with feedback) and your items (with product reviews) . Stellar customer service will positively surprise your customers, and that's just good business. Consider a customer service agency, like Enida, to further enhance your customer service effectiveness. Be genuine: Only write things you really mean and you would like to read yourself. Be personal: Make the email sound like something written specifically for this one customer. The emails should not sound automatic but real. Be helpful: Always offer help at the end of your email. This way the customer will know that they can reach you. And once they write in: Answer! Be reliable. Be strategic: Think hard about your subject line. It is one of the biggest factors that determine open and click through rates. Use A/B testing to find the perfect subject lines. Be clear: Make sure your call to action is clear and easy to follow. These are six guidelines that will make your customers more likely to leave feedback and product reviews. Now you have all the information to brush up your follow-up sequence in order to generate more genuine response. Give it a try and let me know how it went! Stay tuned! And remember: customers are not an inconvenience, they are an opportunity.